Traditional manicure: hands soak with warm water, nails cut and shape, cuticle treatment, warm towel, lotions hands massage and polish. The classic manicure plus hands exfoliation, and cream lotion massage. Your choice of scents: Lavender, Rose, Cocoa and Cafe. This is the perfect treatment for sore and aching muscle. It includes Fragrant Essential Oil, Dried Herbs, Unscented Scrubs, Mineral Masks, Lotion and Oil Massage. It is followed by a long Hot Stone Creamy Massage and Paraffin Wax. This is finished off with a Fresh Warm Towel. 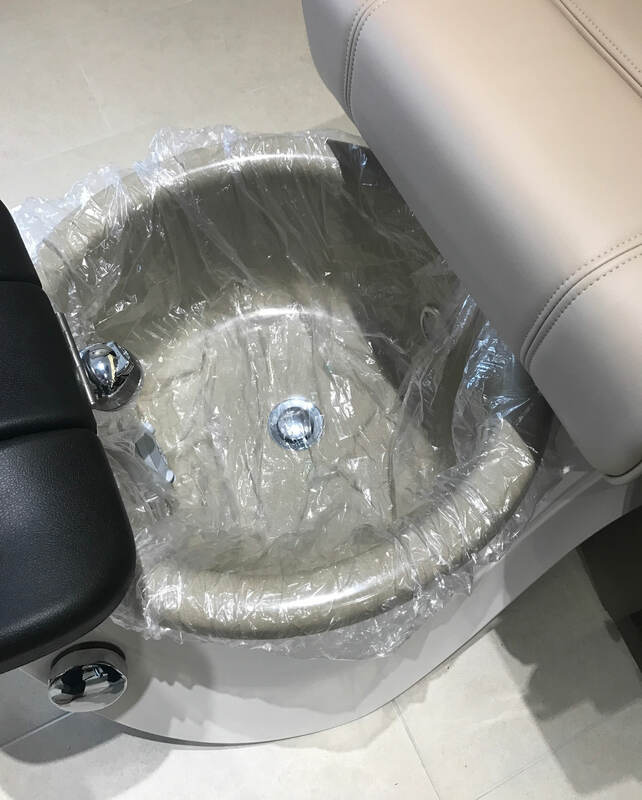 The Traditional spa pedicure: whirlpool foot softening soak, nail shaping, cuticle treatment, warm towels, relaxing foot massage and finish with polish. Your choice of scents: Lavender, Ocean, Jasmine, Olive, Green Tea, Lemon, Vitamin Recharge, Cucumber and Tangerine. Followed by a long Foot Massage and finished with a Fresh Warm Towel. This product is created with the highest quality ingredient and special formulated. This deeply cleans and preps the feet while calming and revitalizing the skin. This organic product includes a Sugar Scrub, a Detox Clay Mask and an Organic Gel Lotion. It is applied to your feet and legs, Warm Towel and a long Hot Stone Massage. This organic product includes: exfoliation sugar scrub, collagen cream mask and a creamy collagen massage. It is followed by warm towels, hot stone massage and paraffin wax. The deep detox activates with a fun buubling , fizzing organic treatment. Your choice of scents by Herbal Product: Lavender, Rose, Cocoa, Cafe. The foot softening soaks starts a 10 minutes in warm water with an essential oil of herbal that is designed to rejuvenate, refresh, relieve stress and renew your senses. You will love the blends, which are rich in natural ingredients. It also helps soften and hydrates rough skin to help with the removal of resistant calluses. It energizes and brings balance to your body, soothes arthritis, joint pain and relaxes muscles. It is followed by an enjoyable hot stone reflexology feet massage, paraffin wax and finished with warm towels.